One of the terminals at Newark Liberty International airport near New York has reopened after a brief closure due to a security scare. 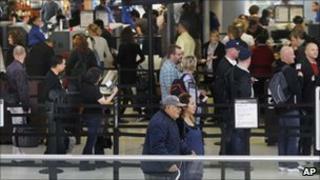 The incident was sparked by a suspect package at a counter in Terminal A, later found to be a computer monitor. Television pictures had shown a number of emergency services vehicles parked outside the airport building with lights flashing and no traffic being allowed to approach. Newark is 15 miles from Manhattan. Terminal A is where American Airlines (AA) flights are based. Computer monitors normally emit small amounts of radiation, and that triggered an alert as the package was screened by a machine behind the ticket counter after being checked as baggage, American Airlines spokesman Tim Smith was quoted by the Associated Press as saying.